Little Grippers socks were created to solve a problem that parents have had for years — socks that go missing or keep falling down (or getting pulled off by babies!). These socks were created by two parents of five children who were fed up with this and had the expertise to do something about it. Little Grippers socks are designed with a unique Stay On Technology which means parents can say goodbye to lost and droopy socks forever! The Stay On Technology is a very thin layer of dermatologist approved hypo-allergenic clear silicon applied to the inside cuff of each sock. The silicon is nearly invisible and its natural properties provide a gentle grip without being sticky. This ensures that the socks stay on and up comfortably, all day long. The silicone gently adheres to skin without leaving any residue, sitting on the skin rather than gripping which minimises pressure. It moves and stretches as your child moves, acting like a second skin. It’s a brilliant solution! The socks can be machine washed and the Stay On Technology does not lose its effectiveness but will last wash after wash. It’s been proven to survive extensive wash and wear tests. The award-winning Little Grippers range includes Baby & Toddler Socks in lots of fun and classic designs in sizes newborn to 2-3 years, Warm & Cosy Socks to keep little feet nice and warm in sizes newborn to 12 months, Sports Socks that are performance enhancing and made from a breathable blend of polyester and spandex in four sizes to fit children from age 4 through high school, School Socks in a variety of styles and colours to complement different school uniforms in sizes to fit from age 4 through late teenage years and Welly Boot Socks in fun designs that keep feet lovely and warm through the colder months. We’ve tried the Baby & Toddler socks and the Welly Boot socks. 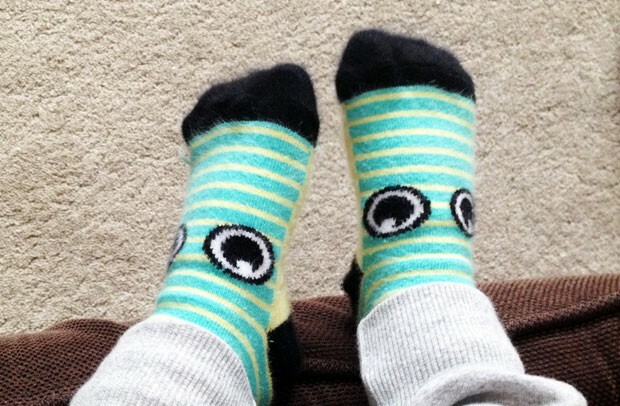 We love these socks! I love that they fit well and stay in place and my daughter loves the fun designs, bright colours and the comfort. The Baby & Toddler Socks have anti-slip stars on the bottom which I think is great too as we have laminate floor in the kitchen and my toddler always slips around in there if she’s not wearing anti-slip socks. The Welly Boot socks are perfect for when we go out to play in the park and wellies are needed. They are lovely and thick and knee-high too, so they’re great at keeping my girl’s feet nice and warm. Little Grippers socks are a bit more expensive than most kids’ socks but the quality is amazing and you will not lose any socks so they’re a good investment! 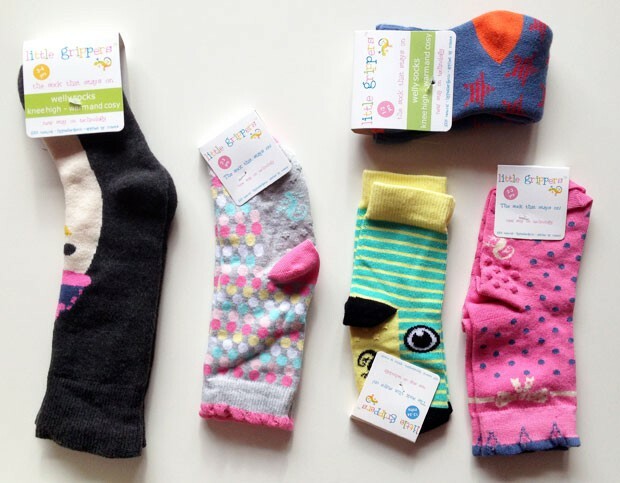 Read more about the range and buy socks for your kids from the Little Grippers website. We were sent these socks for this review. As always, all my reviews are 100% honest and all thoughts and opinions are my own.